Having a dishwasher is one of the most appreciated modern conveniences of our time. Over the years, it has probably saved countless hours of labor for most households. The benefits of having a dishwasher are many, and we sometimes take these little appliances for granted until something goes afoul. It’s that one time when you open the door and are greeted with a very unpleasant odor. Some have reported that their faithful appliance has developed a smell that is similar to rotten eggs or fish. While this does not happen in every case, when it does occur, all of your enthusiasm and appreciation seems to suddenly be enveloped in a sewer like smell that’s difficult to bear. It leads many to wonder, just what is causing it and what can be done to rectify the problem. The good news is that the offensive smell may not require a major dishwasher repair in SF. In fact, in many situations, these things can be handled in a matter of minutes on your own. When you notice a foul odor coming from your dishwasher, one of the first things you need to do is to check the filter. There is a good chance that there are some lingering food particles that may be stuck inside. If left for too long, the food can begin to rot, causing the offending odor. You can easily eliminate the odor by removing the filter and clearing out any food that may be present. You can also check areas around the filter to see if any food particles have collected around it. Once you clear out the rotten food, your dishwasher will smell just as fresh as the day you brought it home. Another common cause of the offending odor is a problem with the drain. Sometimes the hose to the drain may be situated too low, which can cause the water to pool up at the bottom of the hose rather than flow out. By elevating the drain hose so that the water cannot collect in the bottom will prevent pooled water from stagnating and emitting a bad smell. There are times when your dishwasher may need an Air Gap. Dishwashers are connected to the drainage pipe of the kitchen sink, and the air gap is designed to keep the backflow of a kitchen sink from clogging up the dishwasher. If you have had a recent clog in your kitchen sink and you have an air gap, it is possible that there is a blockage that is preventing the water from flowing through and it is getting backed up in your dishwasher hose. To clear the air gap, screw off the head and look inside to see if there is an accumulation of debris that needs to be cleared away. The key to eliminating bad odors from your dishwasher is to first find the source. Identifying the problem can actually be easy to resolve. 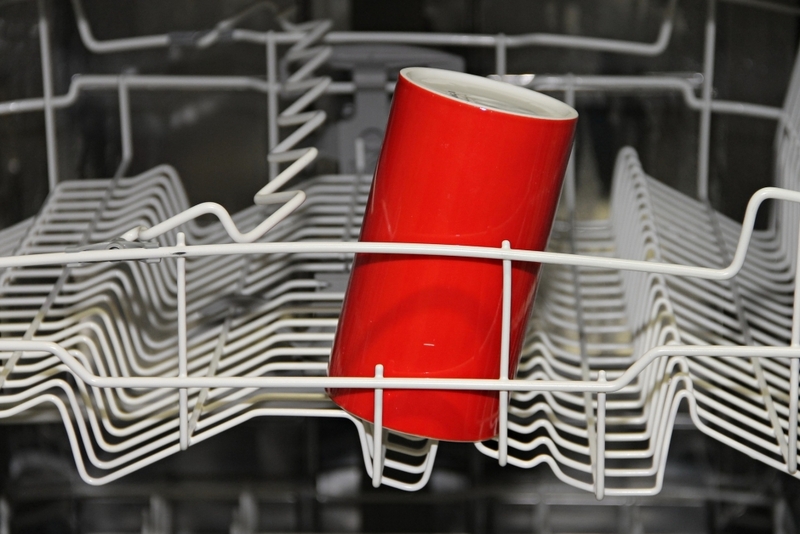 As a general rule, you should regularly clean the inside of your dishwasher by setting a cup of vinegar or baking soda and placing it on the top rack while running a full cycle. This will quickly eliminate the odor problem and have your machine delivering a fresh and clean smell you’ll be happy to live with. 5 Ways to Make the Most of Your Refrigerator’s Crisper Drawer Downdraft Vs. Vent Hood – Which One is For You?